The new iOS 6 Maps have integrated Yelp for user reviews. The new traffic service allows users to provide incident reports for more accurate travel data. And turn-by-turn navigation is now built in, providing users with directions much like a standalone GPS unit, or similar applications on the App Store. Turn-by-turn directions can be viewed from the iOS lock screen, and if Apple's Maps application finds that a faster route is available, it can prompt users to reroute their trip on the fly. 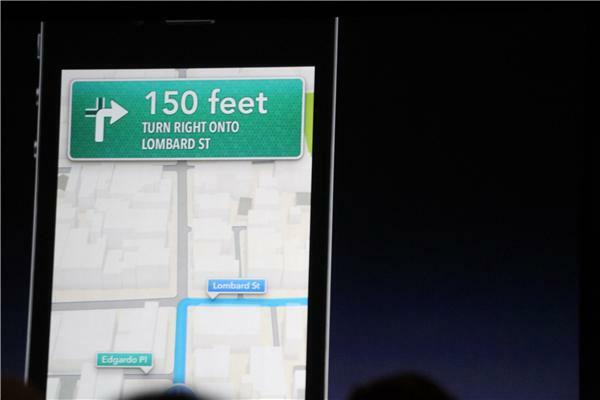 The new Maps application also offers integration with Siri, allowing users to ask for directions to the nearest gas station. In one humorous demonstration, Siri was asked "Are we there yet" and the virtual personal assistant said to "Relax and enjoy the drive" when revealing the destination would be reached in 14 minutes. One major feature of the new Maps is called "Flyover." 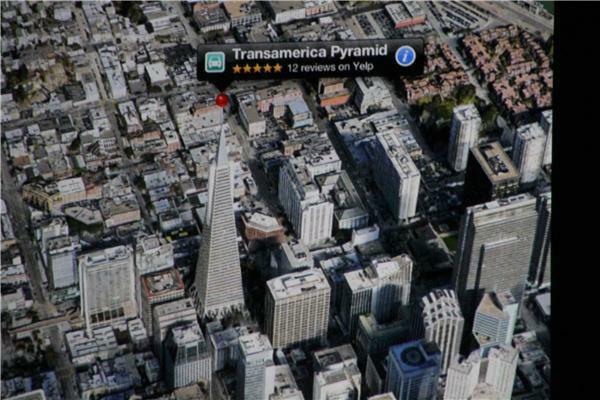 It features 3D models of cities from around the world, with detailed recreations rendered in real time.